Has a friend recommended Linux to you? Or you maybe heard a lot of good things about this open-source operating system and you would like to try it? Linux is an open-source operating system that is free for download and distribution. It is a platform used to run desktop computers and laptops, as well as servers and other hardware systems throughout the world. Before you initiate a Linux download, it would be smart to learn all the basics of this operating system. 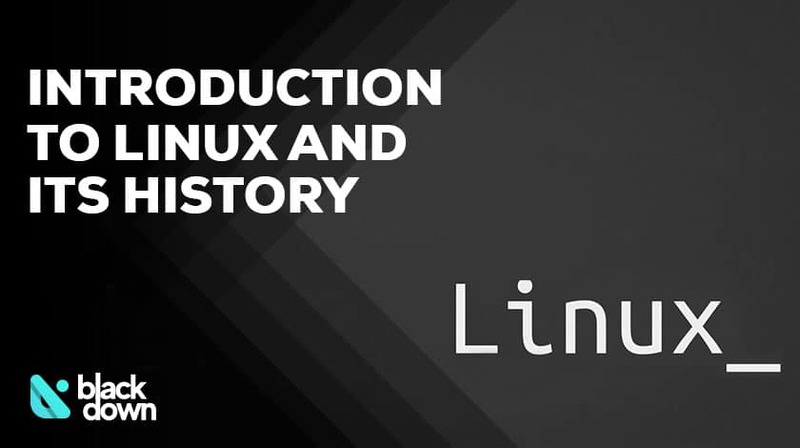 In this guide, we will discuss the history of Linux, its different distributions, use cases, as well as reasons why you should use this OS. The story of Linux starts more than four decades ago and times when computers were bigger than houses. Back then, each machine had a separate operating system, and it was difficult to create software that would run on more than only one computer. That made things difficult for both programmers and users. The technology gradually advanced, and the guys at Bell Labs decided to focus on creating an operating system that would be written in the C programming language and have the ability to recycle the code. Up to that point, all operating systems were written in different codes that were intentionally developed for that system. It was 1969, and it was about time to change that. The objective of Bell Labs was to come up with a technique that will enable the development of operating systems that will support various hardware settings. They named the project UNIX without realizing that they will change the history of computers. Here is what the developers did – they designed a kernel, which is a code that forms the base of UNIX, and continued to build the operating system and its functions around it. The industry quickly embraced UNIX and took the compatibility of different systems to an entirely new level. UNIX was additionally improved in the coming decades, but its use remained predominantly commercial. The PCs became more popular over time, and the users embraced MS-DOS and Windows as their hardware wasn’t strong enough to run UNIX. Fast forward to 1991 when Linus Torvalds realized his PC finally has the power to run UNIX. At the time, it was a privilege to use this operating system, and only government agencies, universities, and agencies were using it. Torvalds started coding a free version of UNIX that would run on his PC. He wanted to design an operating system that would be compatible with UNIX, but available for free use. The users around the world accepted the name of Linux and worked diligently on making as many hardware pieces compatible with this new OS. In 1993, Linux had at least 12,000 users. The free to use operating system was in line with all the latest regulations, and its popularity steadily grew. Over time, additional UNIX features were added, which made Linux a total UNIX clone. The manufacturers of hardware and software started seeing that the new OS is becoming an important player in the market, which is why they employed Linux developers. Even the local PC dealers gave you the opportunity to purchase a machine with a Linux OS already installed, although the focus was primarily on networking and services. Today, Linux is an all-around operating system that is widely used in homes and offices, but also on high-end servers. Over the last several years, the developers are doing their best to make their solution user-friendly for everyone. They added features, such as the ability to log in graphically and initiate applications without typing a single character into the command line. Thanks to that, even tech newbies can use Linux today, which is another indicator that the operating system is set for a bright future. As an open-source system, Linux has multiple distributions or versions. That enables you to make the right choice based on your current tech knowledge. If you are a beginner that would like a graphical and simple version of Linux, Ubuntu is the right pick. It is arguably the most popular Linux-based OS at the moment. The majority of these versions are available for a free download, and there are no limits regarding the number of machines where you can install them. Free – you do not have to pay a single cent to use Ubuntu or another distribution of Linux regardless of how many machines you want to install it on. Open Source – if you are a programmer, you may find it interesting to check out what’s “under the hood.” A publicly accessible code means that the entire community can participate in improving Linux. Extremely stable – the chances are you won’t face issues such as your operating system slowing down, and system crash is extremely rare on Linux. User-friendly – this wasn’t the case with Linux before, but the developers have invested a lot of effort into making Linux more user-friendly and tempting for beginners. Quick bug fixing – the entire community works on Linux. Thanks to this, when someone identified a bug, we also get a fix in a matter of hours. That is another reason why Linux is a safe OS to use. Smooth updating process – there will be no need to reboot the system once the updates are installed as they will immediately take effect. The statistics show that cloud infrastructures now use Linux as their preferred OS option. However, the best way to show Linux’s true potential is to discuss several real-life use cases. It sounds incredible, but the biggest social network and one of the largest websites on the internet rely on Linux. A hardware designer who used to work at Facebook discovered that after he left the company. He revealed that the FB platform relies on CentOS which is slightly adjusted for their needs. The reason why Facebook decided for CentOS is the stability it offers. As expected, Red Hat provides support 24/7 to ensure everything runs smoothly. If you ask the experts at Google what their favourite desktop is, they will say Ubuntu. Google used this open-source operating system and used its experts to upgrade it to the next level. If you happen to visit their cloud computing machines and some other platforms, the chances are you will come across Goobuntu. Google makes sure to provide support for Windows and Mac, but even they believe Linux is the best option for top security and reliable performance. You’ve surely heard of Shrek, Madagascar, and other animated movies made by DreamWorks. The production company utilizes Linux to improve efficiency and cut costs of production processes. Considering the quality of movies and the pace at which they publish them, it seems that the strategy is giving results. The wolfs of Wall Street have always known how to identify the best business opportunities, and using Linux is one of them. The New York Stock Exchange used Unix before but decided to migrate to Linux over a decade ago. The unmatchable speed of Linux is what enables huge amounts of data to be exchanged between the server and deliver a top experience to the users. Is Linux the Right Choice for Me? It is probably a question only you can answer. However, if you are looking for an operating system that is stable, secure, and user-friendly, Linux can be a smart choice. Considering that it is completely free to download and install, there is nothing to lose, which means you can give Linux a shot and see if it is the right fit for you. The chances are you will like it so much that you will keep it!